These disposable latex examination gloves are available in small, medium, or large sizes. 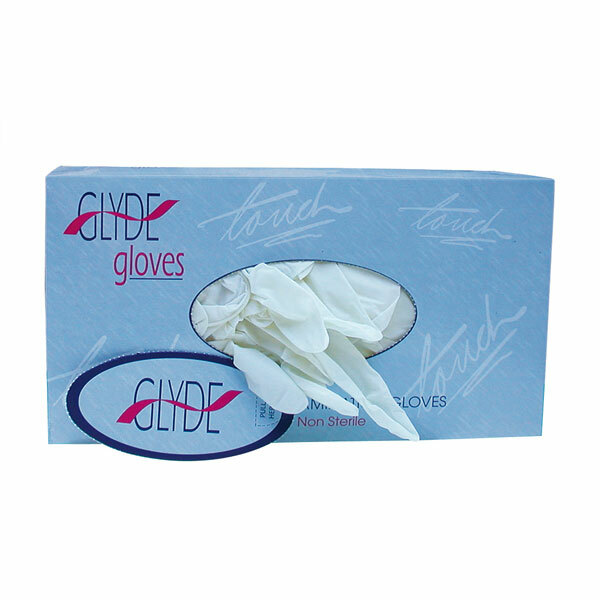 Available in boxes of 100, GLYDE “Touch” gloves are boxed in brightly coloured packaging to avoid mistakes. They offer extra strength for extra protection.